I was talking with a colleague late last night about what it takes to build a program. He commented to me about not knowing if he had the patience to build the program he took over a couple years back. Keith called because he knows I have had some success in building teams and turning around programs. He said he wanted to pick my mind about the course to set for his team. A couple of things instantly sprang to mind. First, was Keith's mention of patience and secondly that Keith knows the path to follow in building a program. That meant to me that Keith was looking for support more than knowledge. It also meant his patience needed a booster shot. I understand this. Building or re-building a program is not for everyone. It can be a grind and progress can come painstakingly slow. Instead of winning games your goals might include tasks such as stringing two consecutive passes together with proper technique and intelligent thought. Or perhaps teaching the proper angle of approach for a defender, the bounce step and cues for when to tackle the ball. When you are coaching a high school program, these are the last things you want to be spending a lot of teaching time on, but with the status of youth soccer in many areas of our country this is the stark reality of where the game stands. In a different conversation last night I referred to having to spend high school practice time teaching basic fundamentals as being boring. This conversation was with Marc, a veteran coach and my partner in crime this past spring. We were blessed with athletes who were skilled and knew the game. Even so, we still did a lot of teaching, but it was with more tactical emphasis than technical emphasis. 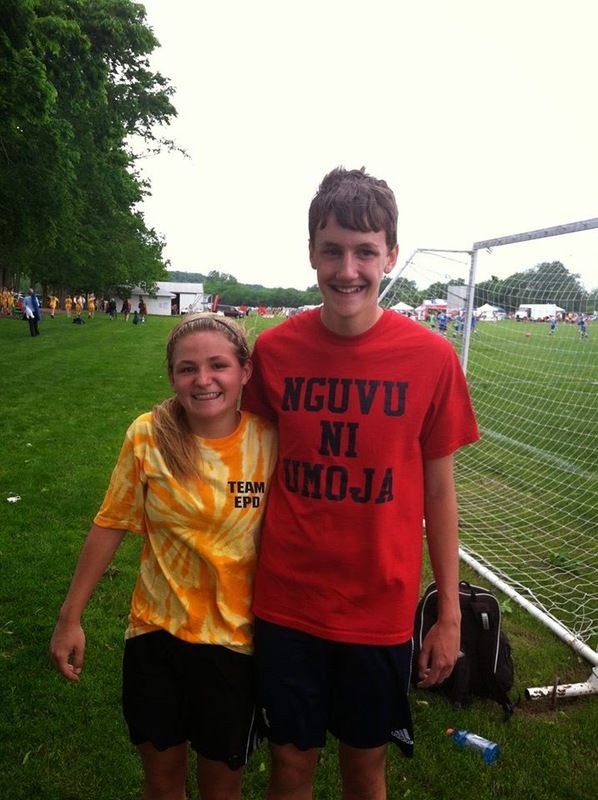 Marc's current high school program is a small one and co-ed competing against boys teams. It's a challenge and one that will require patience. It is not a new program and the previous coaches have laid some solid groundwork, but there is still work to be done. First and foremost might be with the youth feeder system. I think it important not to equate patience with making excuses for the status of a teams play. There is a difference. Patience implies that time is a factor. With time, addressing the fundamentals of technical and tactical play will pay off. Success is not measured in wins and losses, per se, but by progress made in developing players. Progress is a positive measuring stick. Making excuses is a negative and one cannot build positively on negatives. There is an immediate need to break the chain of negativity. This is where attitude comes in, a point I reiterated with Keith last night. It is so important to celebrate success. 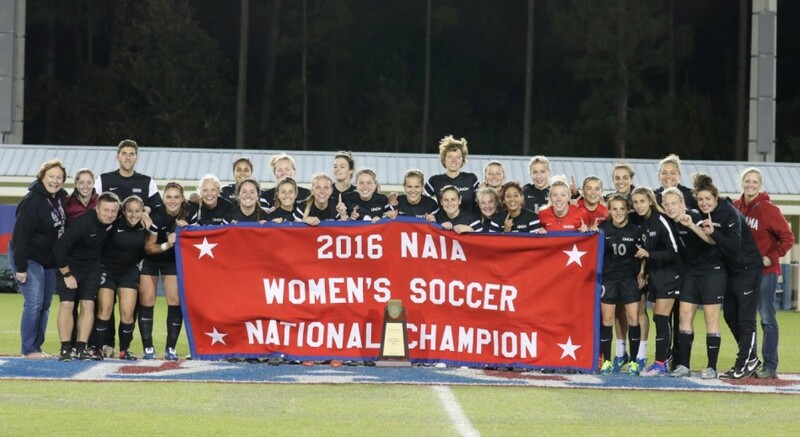 It does not matter if that success is trivial in comparison to other teams or other programs. The important thing to remember, to strive for, is daily improvement. When the team and its individual members walk off the pitch at the end of training or the end of a game, have they improved from when they stepped onto the pitch that day? The coach must maintain a positive attitude. This includes an air of confidence that he can give or share with the members of the team. It is important that the effort of the players is recognized and critical that intelligent effort is acknowledged. This is the heart of coaching. If a coach does not feel good about the progress of his team, he will be hard pressed to convey a believable positive attitude to his team. This is the lesson of intelligent effort from the coaching perspective. Earlier I referenced having to work on basic fundamentals with high school players as being boring. As a high school coach there is some measure of truth in this. We would much rather spend time more time on tactics than fundamental techniques that should have been learned before they come to the high school team. In truth, teaching fundamentals is only boring in the context of having to do so with older age groups when there should be a greater emphasis on tactics for winning soccer. Even then, teaching technique can be a very rewarding experience. 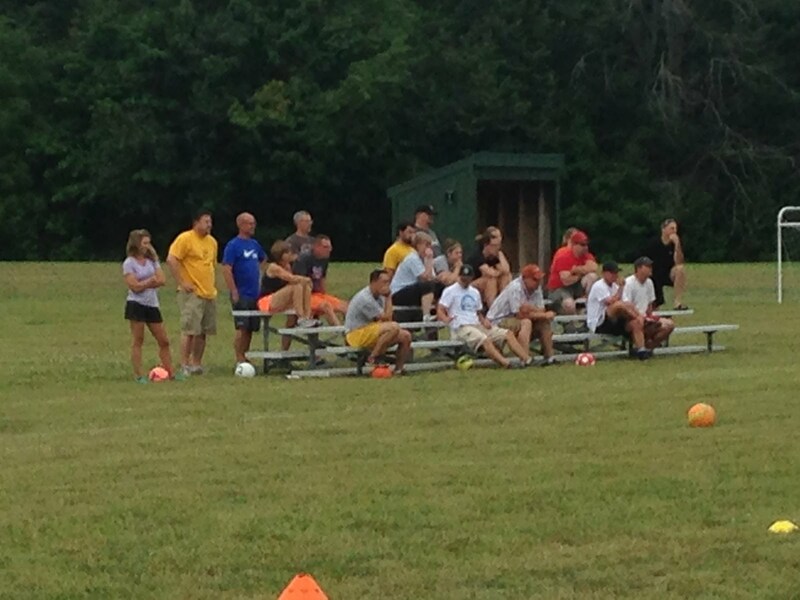 The last two camps I conducted this summer were spent teaching basic fundamentals to older age groups. Sequence of touches, breaking lines, the two line game - these were all necessities for these camps before we could move into tactical aspects of play. It is actually quite fun to see players improve their games right before your eyes. In a camp setting where there is no pressure to win this is easy to accomplish. Once the need to win is factored in, an urgency becomes attached to teaching fundamentals causing the process to become both stressful and, yes, boring. At least in the sense that this is something we would rather not have to devote precious training time to. How the coach handles having to spend an inordinate amount of time on fundamentals, his attitude towards it, will impact the process. Now, if we examine the last paragraph a little closer there is a lesson to be learned. It is such a fundamental lesson, but one the US soccer culture has failed to learn. The consequences of this failure can be seen in our national teams level of play in comparison to those of the international community. We emphasize winning over development in our training. Let's repeat that - We emphasize winning over development in our training. I propose that if we train to develop, winning will take care of itself. This is the attitude I bring both to the camps I conduct and to the teams I coach. I do not talking about winning... or losing ... games with my teams. I do address improving and improvement on a constant basis. I design training sessions around taking another step forward in improving our play. I take the same approach to conducting camp. I want to be able to identify noticeable and tangible improvement each day from the time we step onto the field to the time we step off the field. As long as this is occurring, then being patient and maintaining a positive attitude with the process is easy. It's only when we prioritize winning over development that we become impatient and our attitudes suffer. Warning! Do not spy on us or you will be thrown from the top of the stadium. Scouting the opposition is a natural thing to do. Sometimes an over zealous individual may take it too far and try to observe or even tape an opponents training session. All bets are off when that happens. Labels: motivation, Ole Miss, pointy football, practical jokes, preparation, scouting, two-a-days. Johan Cruyff has stated: “All coaches talk too much about running a lot. I say it’s not necessary to run so much. Soccer is a game that’s played with the brain. You need to be in the right place at the right time, not too early, not too late. If it’s only about running, then you create a running game. I don’t think it is a running game. It is a beautiful game. It is about rhythm and dictating the tempo, and so on. Not only about playing forward, but about the journey the ball takes as it is moved toward goal. In order to protect the goal, you should protect the ball. That means you must be comfortable with the ball – first touch, shielding, passing, bending, shooting the ball. Isn't that the key, you don't have to win physical battles if you don't get into them. If the ball's always on the ground who cares if the kid's not good in the air. If you're not creating 50/50 balls you don't need the kids who can win most of them." Building a culture is like tending a garden. Because 1 person can upset the whole thing." Personal experience has proven this to be an ultimate truth. On what could have been a state championship team the administration forbid me from weeding out two individuals who quite literally and with purposeful intent upset the whole thing with their personal agendas. Such a sad and uneccessary situation for the rest of the team. These reports are not always readily available or easy to find. They can be a bit, well, a bit technical. LOL. They are filled with statistics and analysis. This report is 284 pages long and not something most will sit down and read through in one setting. The game is the best teacher. The challenge in coaching youth players is found in enabling them to listen to and understand what the game is trying to teach them. Too often a substitute voice, that of a coach or parent, tries to impart knowledge of the game to the player. There is, and can be, no substitution for the game itself being the best teacher of the game. Players are the sum total of what they have personally experienced on the field of play. At best, a coach or parent can hope to aid the player after the fact in interpreting the information the player gathers as a result of playing the game. Let us consider for a moment some of the sounds often heard at a soccer game. Remember that you are unique. then something wonderful has been lost. Coach, do you want robots or Robinhos? Don't set your athletes up for failure by trying to make decisions for them. Allow the athletes to do their own on-field problem solving within the framework of TEAM. 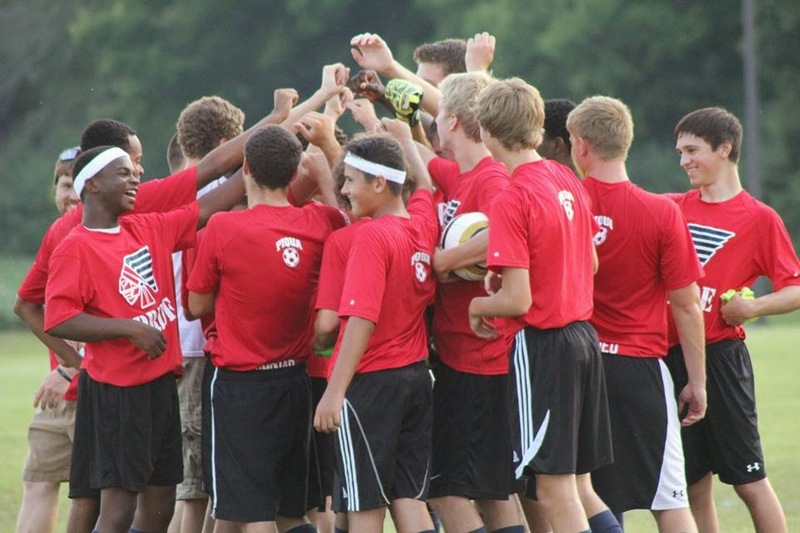 This will be a four part series looking at the development phases for youth soccer. I believe one of the priorities in coaching is to prepare those who wish to move on to a higher level to do so. It is with that premise in mind that I write today. I am going to look at a microcosm of the overall developmental process - U6 through U19 or Kindergarten through the end of high school. So, the end game here would be to prepare an athlete to play in college or professionally. Romance - a feeling of excitement and mystery that results in one wanting to explore further. The ages of 5 through 9 years of age are when the game is introduced and the love affair begins. These are the technical or foundational years. It is important for young players to enjoy this phase of development. There should be an abundance of opportunities for everyone to experience scoring a goal and making a great save. Rotating players through all positions is not an option, it is an absolute necessity. This is the best way to develop individual skills under the pressure of space, time and an opponent with the aim of not only teaching and developing technique but also increasing the speed and comfort level at which the technique can be proficiently performed. Receiving - The player's first touch on the ball. Inside, outside, sole and top of the foot. Thigh, chest head. Begin stationary but as soon as possible make it practical. Receive by checking to the ball, by being sideways on. Shielding - The ability to maintain possession while under pressure by lowering the center of gravity and utilizing short share movements such as spins, change of direction and change of pace to gain separation from an opponent. Dribbling - The ability to run with the ball. Footwork - Moves to beat an opponent. Combining Dribbling and Footwork to maintain possession while defeating an opponent. Passing - The ability to accurately convey the ball to a teammate with appropriate pace. Inside of the foot push pass, outside of the foot flick, laces drive, heading the ball. Contain - The ability to be patient on defense. Stay in front of the ball carrier to slow forward progress of the attack. Force - The ability to take options away from a ball carrier and make him predictable thereby allowing your teammates to easily provide defensive help. Tackling - Teach the cues for when it is appropriate to tackle as well as the proper technique for doing so. Do NOT attempt to tackle when the ball is between the ball carriers feet. Stay BIG when tackling. Do not dive in, stab or turn sideways. Tactics in this developmental phase should have a heavy emphasis on 1 v 1 situations with appropriate attacking and defending emphasis. Small group tactics should be limited to 2 v 1, 2 v 2, 3 v 1, 3 v 2, 3 v 3, 4 v 1, 4 v 2, 4 v 3 and 4 v 4. Remember when working on attacking in small groups the attackers should begin numbers up and work towards competing at even numbers. The same holds true when working on defending in small groups. Defenders should defend with numbers up and work towards defending with even numbers. * This is extremely important. As playesr advance in age and development they will learn to look for, create and utilize numerical advantages in games. It is best to begin playing in those conditions ASAP. Positions - Players in this initial development phase must play a variety of positions This is the only way to develop an awareness for the game in its entirety. Emphasis must be on developing an understanding of all principles of play and exposing the player to the total game. Physical Training - Any and all fitness work at these ages should be done with the ball. It should also be done with partners or in small groups whenever possible. Playing the game is enough, but make sure the practice activities or games have a large emphasis on FUN! Lot's of competition, scoring and blocking of shots. Psychological Training - Keep it FUN! Encourage players to explore the game to their fullest ability. Allow and encourage players to make their own decisions on and off the ball. Praise effort. Mistakes are okay. Mistakes are learning opportunities. Kids are expert game players. They learn from mistakes. They go back to the start and work their way through the process until they advance to the next level. Trust them to learn from the mistakes they make on the pitch and praise them like crazy when they do. The Game - If we are truly focused on developing players and not winning games, these age groups should play 4 v 4 without goalkeepers or 5 v 5 with goalkeepers included. There are 4 basic elements to the game of soccer - Penetration, depth, width and mobility. 4 v 4 covers all of these without duplication. There is no clutter to the 4 v 4 game. The problems encountered will be in their simplest form and the decisions to be made will not be complicated by excess. For a number of reasons local leagues will play games at 6 v 6, 7 v 7, 8 v 8. These are recognized as acceptable if not optimum numbers for play for the 5 - 9 years of age groups. Anything more than 8 v 8 is frowned upon as unacceptable and even a disservice to the youth. I made my way to Spartan Stadium on Tuesday evening to see the soccer match between Toledo St. John's and Lima Senior. Historically this has been a very lopsided series. I believe last years match ended as a 10-0 St. John's victory and understand this to be a typical score when these two meet on the pitch. This type of dominance can be difficult to overcome, but it most certainly can be done. 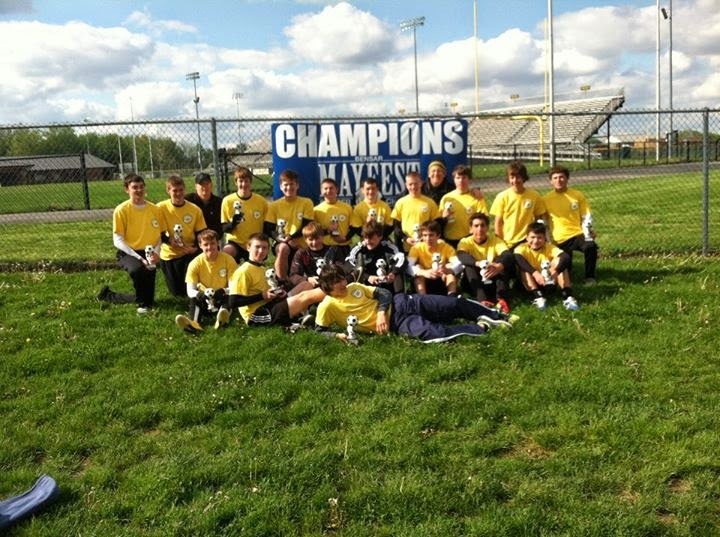 A few years ago I took over a local high school program that had never had a winning season. Over an 11 year span the average score of their matches had been 1 - 5. In my 2 years at the school we went 21-12-5 with an average score in our matches of 3 - 1. Part of that process included teaching the players in that program they could indeed compete with teams who had beaten them year after year. The players set goals like "we just want to score against them" and "we just want to keep it close" In the days leading up to last nights match up these are the type of comments I heard from the Lima Senior players and parents. Unacceptable in my mind. Why admit defeat before ever playing the game? If that's your attitude, let's just forfeit the match and prepare for one where the odds are more to our liking. I never spoke of winning or losing to that program we turned around. I was appalled when we lost 0-1 to a team that had trounced them year after year and our players celebrated the moral victory like they had just won the World Cup. I remember watching those kids jumping for joy over a loss and thinking about how far we still had to go in changing the culture of the program. I had the same feeling heading into last nights match. The Spartans lost the match before the opening whistle blew. They had conceded defeat and were looking for moral victory. 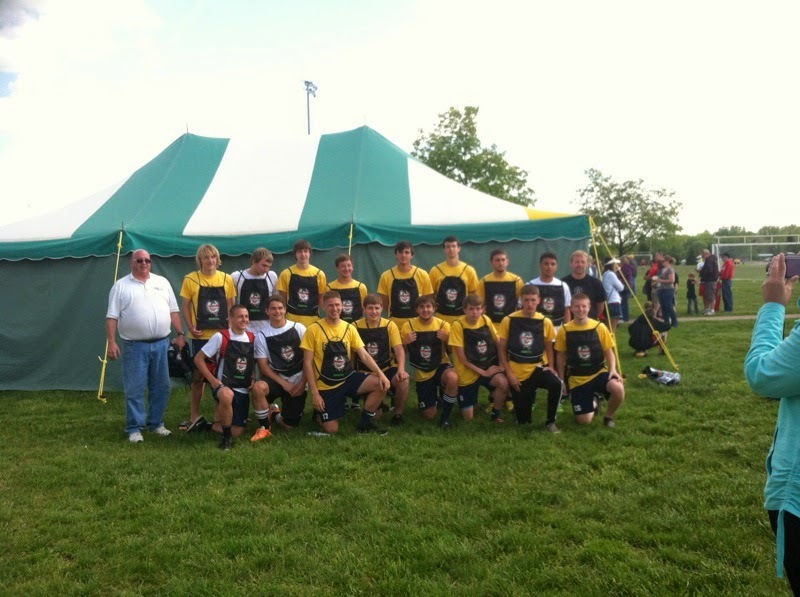 The Spartan players wanted to score against St. Johns. That's it. They would be happy with or settle for scoring against Toledo St. Johns. 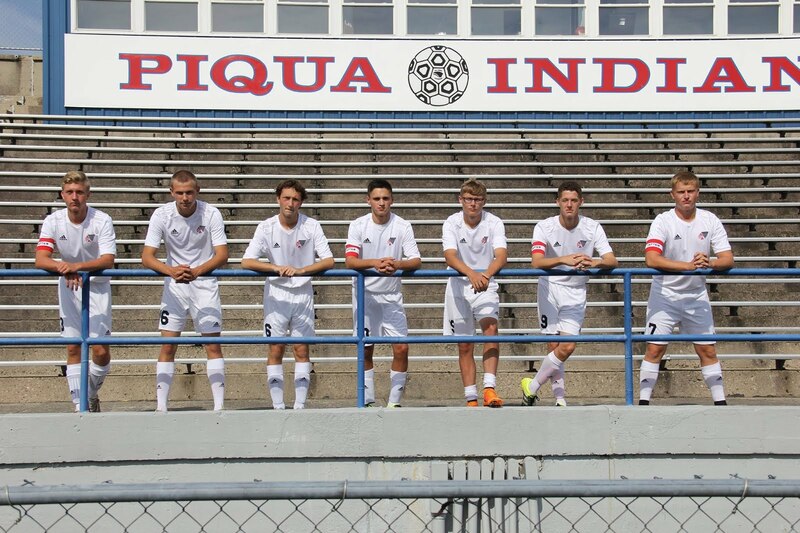 This is a talented Lima Senior team. 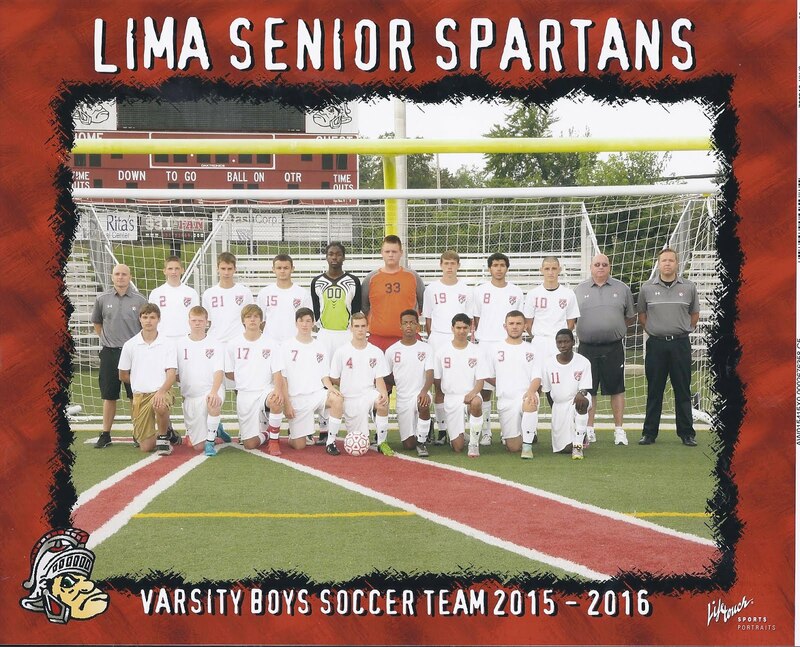 It might be the best team in the Lima area this season. They will not prove that to be true until they change their thinking. The Spartans have made so much progress in the past 15 months. I believe our camp experiences with the Spartans have played a small part in this, but head coach Mitch Monfort and his assistants Phil Vermillion and Matt Berney deserve credit for their work with this team. It has been thrilling to observe the changes coming over the program. I firmly believe they are ready to take a huge step as a program... but it will not happen until they change their expectations. The Spartans do not fully believe they can compete in every match. There are teams on their schedule who they still look at as certain losses. I'm calling b.s. on this type of thinking. This Spartan team can compete with anyone. I believe this to be true, but it is the team who must develop and nurture this belief in themselves. Moral victory be damned. Upsets happen every day, so why not for the Spartans? In last nights match it was immediately obvious that Toledo St. Johns is a quality side. Their pace of play was astonishing. Every single time the ball moved all 11 of their players were in motion as well. Talk about player movement? Oh my! Their communication was outstanding. Coupled with excellent first touch and limiting themselves to one or two touch play the ball was zipping around the field with amazing speed. Even so, the Spartans stood their ground well. They had to defend most of the time, but did so as a team and with poise under constant pressure. When you can defend well, you will always have a chance for victory. Zachary Roller put the Titans on the board in the games 9th minute. The confidence St. Johns were playing with gave every indication of their belief this was going to be another rout of the Spartans. Lima Senior did not fold. They stood tall and continued to battle. Even when Camden Buescher scored for St Johns in the 12th minute of the game there didn't appear to be any panic in the Spartans. When the whistle sounded for half time the score remained 0-2 in favor of St. Johns and Lima Senior had begun to generate some attack. The Spartans had just pitched a shutout against the Titans for the final 28:20 of the first half. That fact did not go unnoticed on the Titans sideline. It wasn't until the games 51st minute that Buescher scored once again for St. Johns. Lima Senior had shut the Titans down for 40 straight minutes. That equates to one entire half of soccer. Who says, the Spartans cannot compete against the big boys? A big portion of the credit for the shut out 40 minutes of action goes to Spartan goalkeeper Caleb Grundisch (14 saves) and the Spartan back line of Hunter Vermillion, Levi Quintero, Taylor Mericle and Antrelle Blisset who played as a unit and had one another's back in protecting their goal. I wouldn't say there was panic on the St Johns sidelines, but I was watching their coaching staff during the match. Their head coach went from a relaxed confidence to prowling the sidelines and actively coaching / imploring his team during those 40 minutes of scoreless soccer. As another 19 minutes of scoreless play ticked off the clock it was evident that while the Titans felt confident of the victory they were not pleased with the closeness of the score. St Johns got back on the board with under 10 minutes to play when Sergio Gonzales-Brana scored on a header off a corner kick. 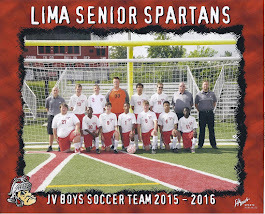 Although Lima Senior had begun to substitute frequently, St. Johns kept many of their front line players in. The Titans scored two more goals in those final minutes. In the games 76th minute Zachary Buescher received sideways on with his first touch leading to goal behind the Spartans back line and his second touch finding the back of the net. And in the games 80th minute Z. Buescher scored again when he gathered a loose ball and broke in behind the Spartan defenders. Seriously? St. Johns poured in 3 goals in the games final 9:30 of play? Obviously there is a bit more to this story. The Spartans had two brilliant chances to score goals after the Titans went up 3-0. Alex Ehora was played in behind the Titans defense and only a very solid play by the St Johns goal keeper Jarrett Karalfa kept the Spartans off the board. Then, Ehora blasted a shot off the post a short time later that might as well have been a lightening bolt going through the St Johns sidelines. It woke the Titans up and led to many of their starters being in the game for those final 9 minutes of play. Yeah, Titan coach Thomas Shook was sending a message. He wanted to reassert the idea of Titan dominance over the Spartans. Again, I call b.s. on this very notion. This Spartan team is for real and they will begin to show it just as soon as they move beyond settling for moral victory and begin believing they can play with anyone. As soon as that happens this program is going to take off. Will that be yet this season? That's up to the Spartans to decide, but I see no reason why it shouldn't be. Those who have played for me appreciate that I do not have a lot of team rules. In fact, I have had only three stated rules for years now and am seriously considering cutting that number to one. 3) Don't piss off the coach. In all honesty the third rule is more of a fun way to say "stay focused on soccer when at soccer." Anyone can say "Rule #3" and the message is sent without the necessity to lecture or belabor the point. When I have coached high school I have had to include a school's established set of rules or the"Athlete's Code of Conduct" in my team rules package. These will include policies on alcohol, drug and tobacco usage, academic requirements, proper care of uniforms, school attendance and the like. Long ago I realized all these rules can be summed up with one simple word. And it doesn't pertain just to rules for a soccer team, it works for life as well. All rules revolve around respect. Respect your teammates - players, coaches, athletic trainers, physical trainers, medical personnel, maintenance workers and grounds keepers, administrators, gate workers, announcers, scoreboard operators, concessions workers, bus drivers. Just RESPECT the people who work hard for you and your team - you should do your part to help them do what they do for you. Be on time. Be prepared. Give intelligent effort. Take care of your uniform & equipment. Eat properly. Stay hydrated. Clean up after yourself. In the grand scheme of things is there anything the one word rule of RESPECT doesn't cover? I like to check in with the teams I conduct camp for during their regular seasons to see if what we worked on has translated to their games. Saturday morning found me making the trip to the Widewater Retreat Center to see the Lady Tigers of Liberty Center take on Evergreen Lady Vikings. I have conducted camp for Liberty Center the past two summers and was anxious to see if the progress made in camp would show itself in an actual game setting. 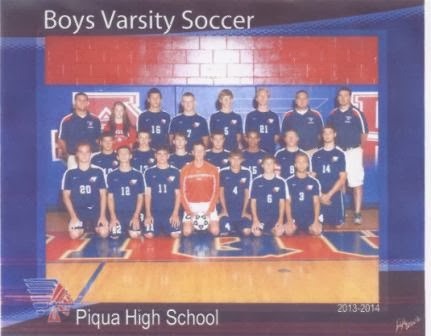 This is a young program, in their 4th year of varsity soccer, I believe. When I first camped with them in the summer of 2013 I found a group with little actual playing experience, but very eager and willing to learn. 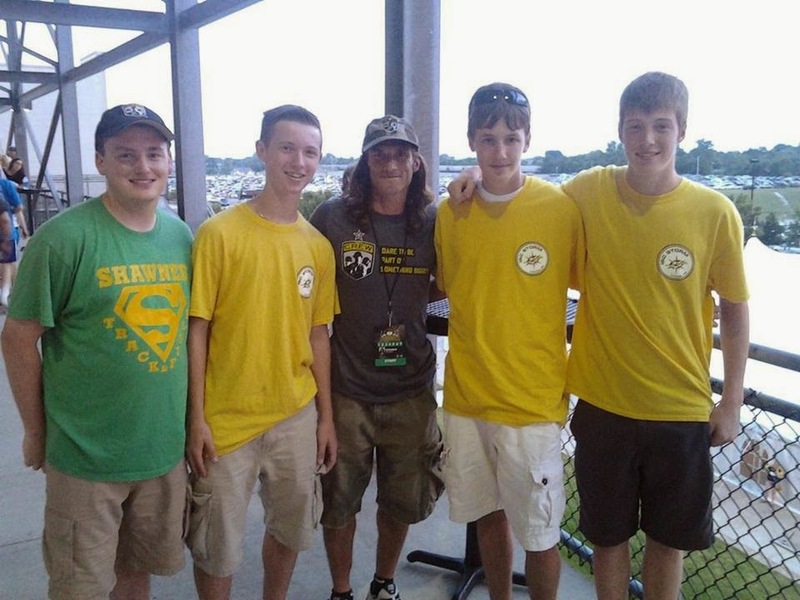 This summer I returned to find a group who had obviously worked hard under the guidance of head coach Billy Daniels. The Tigers began the match in a 1-4-1-4-1 formation with striker Lexi Noll on top and attacking mid Candace Sayers in support. The Vikings countered with a 3-5-2 formation played a bit unconventionally with the center defender advanced of two outside backs split wide. This aggressive attacking formation put the Tigers back on their heels initially as Viking forwards broke through time and again. Great pursuit angles utilized by the defenders and outstanding play in goal provided by Libby Ball kept the Vikings off the scoreboard. Beginning at about the 10 minute mark the Tigers were able to begin exploiting the center of the Vikings defense mixing in attacking flank play for variation. Once the first goal went in the Tigers pounced repeatedly on other scoring opportunities. I was pleased to see the ideas of penetration, depth, width and mobility in the Lady Tiger's attacking play. I was also pleased to see the sequences of two touch play we had worked on in evidence. 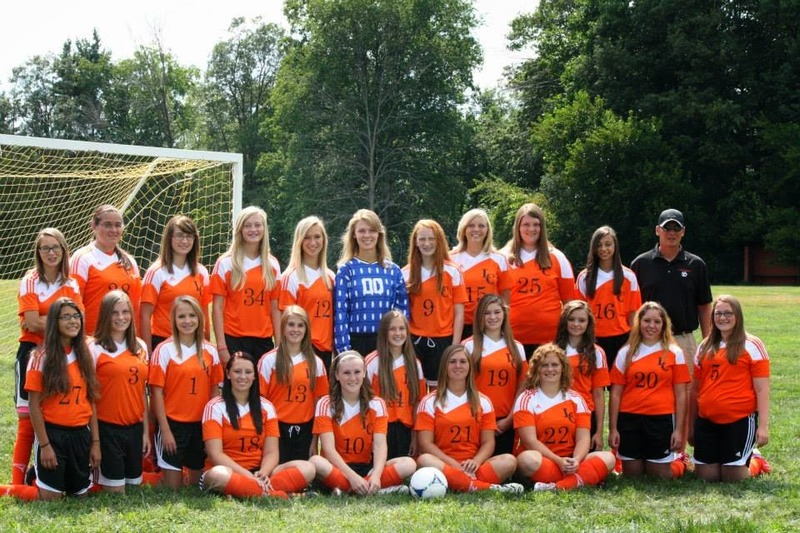 Overall there was marked all round improvement from when I last saw the Liberty Center women play late last season. While today's score was lopsided Evergreen had some good runs of play, especially early on. They threatened the Liberty Center goal on numerous occasions but just could not get one in. Coach Daniels slowed the attack early in the second half seemingly calling for the Tigers to work on their possession game before looking to go to goal. It was good to see the Vikings continue to work the full 80 minutes of play. That type of spirit will pay off as they build their program throughout this season. Today's scorers were Candace Sayers and Lexi Noll each with a hat trick (3 goals a piece) while Courtney Taylor, Julianna Crockett, Davina Fredrick and Kris Keller each contributed a goal. 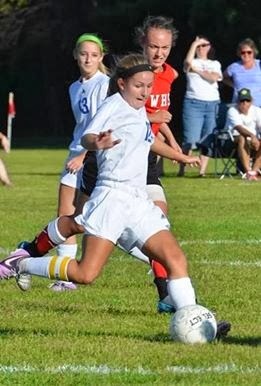 Lexi Noll was also credited with 3 assists. 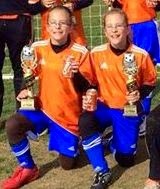 Kirstin Daniels had 2 assists and Courtney Taylor 1. Libby Ball was credited with 11 saves and Lexi Noll with 2. I am looking forward to returning to Liberty Center later on this season. Coach Billy Daniels and this young team are moving in the right direction in establishing a solid foundation to grow the program upon. Many coaches who contact me seek help in getting their teams to talk on the pitch. What they actually want is better communication between teammates playing the game. This might be for organizational purposes - establishing and maintaining proper defending shape, for example. It might be for coordinating movement of the ball and players - calling for the ball to be played to a corresponding run, for instance. The emphasis is on getting players to talk to one another on the pitch. Effective communication is a shared responsibility. What good does it do if everyone is talking, but no one is listening? We have written about the shared responsibility of passing and receiving in past articles. The most basic fundamental technique to be practiced in passing and receiving is often the least understood by coaches and players alike. "He won't listen!" This is the complaint I fielded recently from a captain of one of our camp teams. The "he" in question is a talented athlete but a mediocre soccer player. He gives great effort, but doesn't think the game very well and he refuses to "take instruction" as he repeats the same mistakes over and over. The transgression his teammates and coaches are currently most frustrated with is the player's tendency to turn and go towards goal every time he touches the ball regardless of situation or defensive pressure. "That's his total thought process," the captain complained. "He's destroying our rhythm and making it impossible to maintain possession." I understand the frustration, but the real issue is to understand why the player was not listening. Sometimes I wonder if I am speaking in tongues as what I say is seemingly ignored or completely misunderstood. I have to re-evaluate not what I am attempting to communicate, but how I am communicating what I want understood. Education can be a critical element of this process. The player in question, we shall call him John, had an established bad habit of going straight to goal every time he gained possession of the ball. He often turns into pressure only to be dispossessed by a defender lying in wait for him or he will blindly turn only to encounter multiple defenders ready to dispossess him of the ball. John's bad habit is needlessly self-inflicting pressure upon himself and by extension, his team. Teammates imploring John to "drop the ball" back are generally ignored. Encouragement to "play the way you face" when under pressure is ignored. The captain actually proclaimed, "It's like playing with someone who is deaf! And if you try to help him he gets mad and refuses to pass you the ball at all." I posed the following question to the captain and his coaches, "If John will not listen to you, will he listen to the ball?" Yeah, from the looks I received I figured I was speaking in tongues again! I was not, but I did have to explain what I meant by listening to the ball. The explanation wasn't warranted because of a lack of knowledge on the captain and coaches part so much as a different perspective being required on the knowledge they already possessed. Sometimes we take for granted a basic level of knowledge or understanding only to discover such is not the case in fact. My suspicion was that is what was happening here. Did John understand if a teammate directed a pass to his front (close or near) foot it was being communicated to him there was a defender on his back and he should "play the way he is facing" or not turn into pressure? Has anyone taught John this cue for receiving and combination passing? Does John know, understand and appreciate that if the ball is played to his back (far or across his body) foot that there is an implied understanding that he can open to the field of play and even turn towards goal? In short, had anyone ever taught John to listen to the pass? And does John understand and appreciate what the pass is saying to him? There are, of course, many other forms of non-verbal communication that can be utilized if and only if all teammates are speaking the same language. In today's case, John was resistant to verbal communication. So, why not teach John the language of the pass and allow the ball to be the translator of the information being shared? John can then take that information (knowledge) the pass is providing him and use it to improve his own decisions on when to play the way he faces or when he can turn and go. Labels: Captains, CBA Soccer, Choices, coaches, communication, Conceive Believe Achieve, Conceive Believe Achieve Soccer Camps, decision making, listen, listening skills, shared responsibility, talk, the ball. What can I do to help my team? Every athlete should ask this question of themselves. Our expectation of what a good teammate is holds the answer to this question. What qualities and traits do we want in a teammate? There is no substitution for hard work. Set your standards high and be the positive example for your team. Give your best effort each and every day. Demonstrate discipline, dedication and determination in everything you do. When you do this, you will raise the standards and expectations for everyone else on the team. Attitude is so very important because it is contagious. You have a choice to make, infect your team with positive attitude or infect your team with negative attitude. This may seem like a “no-brainer”, but the importance of attitude cannot be overstated. Positive attitude can lift the spirits and improve the performance of the team. Negative attitude lowers morale and drains energy from the team. Limit the negatives. Focus on and accentuate the positives. Praise effort instead of criticizing a poor result. Lift your teammates up instead of beating them down. In the context of the team, everything you do is for the team. Your ego must be subservient to the mission of the team. Make runs to create space and opportunity for a teammate. Support your teammate’s run with one of your own. Make all you do on the pitch about The team, the team, the TEAM! Use your strengths to benefit the team. Know who you are as a player and what your role is on your team. Work hard to improve so your team can improve as well, but never lose sight of why you made the team in the first place. The balance to strike is a driven selfishness to improve your own game that your strengths can serve the team to their fullest potential. Trust yourself and trust your teammates. Trust is earned. On a personal level you earn trust by putting in the work to make yourself the best player you can be. Constantly testing your limits and redefining your comfort zone builds self-trust in your ability to solve problems you encounter in the game. Earn the trust of your teammates through honesty, consistency, integrity, being humble and being dependable. Trust is everything. With trust you can build the type of relationships that are the foundation of all great teams. Today this is often called “bonding”. Interact with your teammates both on and off the field. Care about them. Listening is the greatest tool. Learn about your teammates. Share with your teammates. Communicate with your teammates in meaningful ways. Build strong trust based bonds with your teammates and respect will emerge. You do not have to be best friends or even like one another, but trust and respect are essential components of winning teams. The only way to raise or grow a team’s expectations is to hold one another accountable. Begin with yourself. You will make mistakes. Correct them yourself or seek help in correcting them. You set the standard of accountability. Only then can you hold teammates accountable for their mistakes. Building strong relationships built on trust and respect allows you to appreciate that when a fellow teammate pushes, challenges and demands the best from you they do so because they care about you and what you can contribute to the team. They want your best so the team can be at its best. Receive criticism, feedback, instruction and suggestions willingly and with an open mind. Do not be insecure or allow your ego to interfere with the mission of the team. If a teammate holds you accountable say to them, “Make me better. Show me how I can improve. Teach me how to be better and I will work on it for the team.” Provide help to teammates within the framework of bettering the team and with a caring attitude built on the respect and trust you have for and in one another. In conclusion, serve the team. Appreciate that if it is about me if cannot be about we. Understand that individual recognition comes easiest in a team setting. Know that Together Everyone Achieves More. Just when I think I have camp curriculum set a team will present a bit different problem for me to help them solve. Such was the case twice this summer when I found a need to adapt our standard camp fare to more appropriately fit the needs of teams we were working with. In both instances we were looking at increasing pace of play utilizing a possession style. When working with a group for the first time I prefer to have game film from the previous season to review. I also rely heavily on their coach's description of play including their strengths and weaknesses. Even with decent prep work before beginning camp there are times when we need to adjust on the fly as we seek to establish a baseline we can start from. I often fall back on 4 v 1 as an evaluation and teaching exercise to accomplish this. I consider 4 v 1 with the attackers on the outside of the grid and the defender inside the grid to be the most basic of possession games that also allows for the teaching of proper touch sequences, establishment of proper angles, vision, decision making and rhythm. In most instance a 10 yard by 10 yard grid is appropriate to begin this exercise in. It is important to establish immediately that players should be positions along the sides of the grid and not in the corners. If you have the luxury of field space and striping equipment circles ban be even better to play "in" than a squared grid with players moving along the sides of the circle to establish passing angles. I really like this exercise to reinforce and give practical application to the two touch sequences of play - Right/Right, Right/Left, Left/Left and Left/Right. If there is a need introduce these sequences you might wish to utilize the breaking lines warm up exercises before moving on to 4 v 1. I prefer each station work on the same sequence of touches at the same time. A basic element in the proper sequence of touches is found in receiving the ball across your body to the "back" foot. We call this being a back footed player. When playing 4 v 1 it is essential for potential receivers of the ball to slide along their side of the grid in order to establish the proper angle to receive the ball on the back foot. One of the rules of thumb that can be emphasized and reinforced while playing 4 v 1 is that when the ball carrier is under pressure teammates need to move closer to him. The ball carriers eyes will be on the ball at his feet and under actual game conditions his attention might be on shielding the ball from the opponent. Moving closer, while making the playing area smaller allows for the larger angles necessary to safely pass the ball while also allowing the receiver to remain a back footed player. A basic truth for receiving and passing the ball is that ball movement is predicated on player movement. While we are merely asking players to slide along the sides of the grid this is nonetheless an essential part of the exercise and a building block for the dynamic runs you want to see in games. This is one of the foundations for "being in your teammates vision early" and "knowing your play with the ball before your first touch." What we are discussing is properly preparing to play the ball before your first touch on the ball. Setting yourself up to be a back footed player is an example of one fundamental way to accomplish this. In being a back footed player your hips will be open to as much of the field as possible providing you with good sightlines to teammates and allows them to be in your vision early. It is important to stress the necessity for players to be game watchers instead of ball watchers. As game watchers we can increase both the quality and the rate of our decision making which in turn allows us to establish a rhythm to our attacking play. Remember, attacking soccer is all about rhythm while defending is all about disrupting rhythm. We use rhythm to manipulate the opponents defense in order to create seams to penetrate to goal through. The rains cleared off long enough for the Elida Fall Classic games to be played Thursday evening. The pitch at Elida Middle School was in good condition considering nearly an inch of rain fell during the day. The first game between Ottoville and Bluffton ended in a 1 - 1 tie with the Big Green advancing on a 4-3 penalty kick win. Joel Beining (Ottoville) and Eli Bourassa (Bluffton) were credited with the goals in regulation. The second match of the evening would see host Elida take on Ft. Jennings. 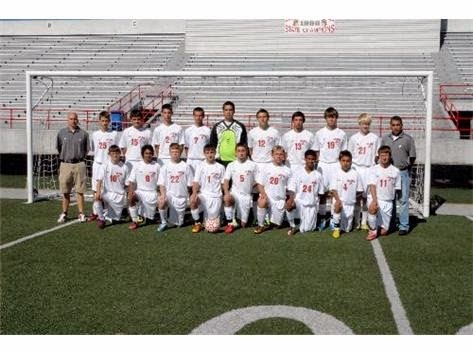 The Bulldogs enter the 2014 season as one of the favorites to win the Western Buckeye League. A fast start to their season is important to propel them on their way in that title chase. The Bulldogs, led by senior tri-captains Adam Ordel, Garrett Brinkman and Chase Watson (all Grand Lake United players as well) would not disappoint. Ordel got the scoring started before the crowd hardly had time to settle into its seats when he corralled a poor goal kick and found the net at the 3:03 into the match. Just minutes later Ordel scored again after being played in behind the Ft. Jennings defense by Jerod Houston. Houston got in on the action a few minutes later when he took a penalty kick placing it just to the left of the Musketeers goal keeper to give the Bulldogs a 3-0 first half lead. Houston would also draw the first yellow card of the evening. This being noteworthy because of the sheer number of yellow cards handed out during the match which eventually saw Ft. Jennings playing a man down due to one player receiving two yellow cards. In the second half Austin Morrison continued the Bulldogs assault on goal when he lofted a cross from the right wing that floated into the goal at the upper 90 of the back post. And finally Chase Watson played a low cross from the right wing through the penalty area to Blain Hunter to finish the scoring. 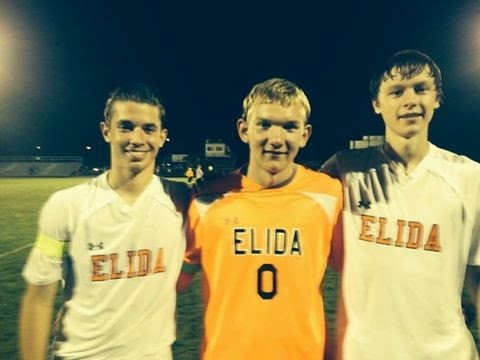 Elida's Garrett Brinkman cleanly handled the two shots that came his way while also playing well in a sweeper keeper role scooping up through balls and allowing the Elida back line to relieve pressure by dropping the ball back to him. Although they faced an over matched opponent this was a solid opening win for the Bulldogs. 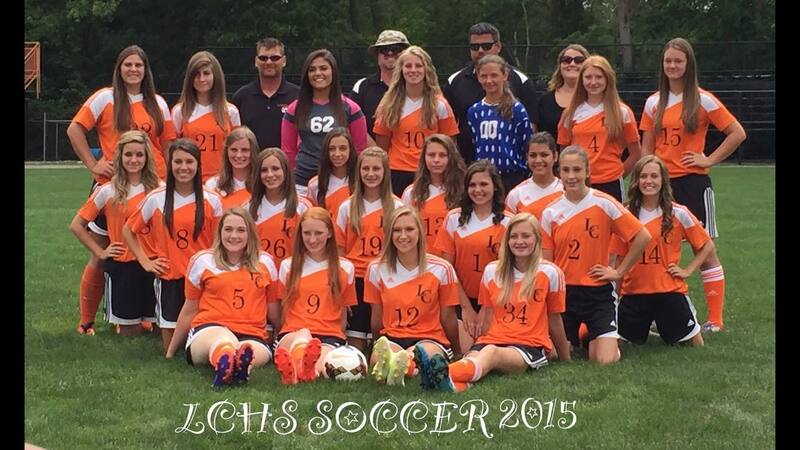 The next test for Elida comes in the finals of the Fall Classic against Ottoville at 7:00 pm on Saturday at Elida. Elida Bulldogs Senior Captains and Grand Lake United members! for one of two reasons. They get burned often enough they are forced to. Okay, the last parts are obviously an expression of our family's love for one another, but the first parts are the key to problem solving. I share this with you today because a coach of a team I conducted camp for this summer asked me for help in identifying why his team struggled to possess the ball and build an attack. In analyzing play most coaches can identify areas of the game their team struggles with. However, many coaches end up addressing symptoms of the problem they identify instead of focusing on the root cause of the problem. For example, this particular team struggled mightily with their first touch. As we watched the film together their coach described to me how they worked on first touch constantly. One of the activities was to pair up facing one another with one person serving to the other. In this manner, they worked on every conceivable form of receiving or trapping the ball. Even though their technique was improving it didn't seem to be translating into better possession play in games. I didn't have to wait :15 until I paused the film. What we saw was a perfect in-game example of the drill work he had just described to me. The technical execution of the first touch wasn't bad, but still possession was lost. Anyone who has ever parented a toddler knows they typically go through a period of development that sees them ask "why?" constantly. It can drive the best of parents to the point of covering their ears and sing "la, la, la, la, la" to avoid having to hear the question repeated yet again. The film showed one teammate passing the ball to another teammate at a distance of approximately 15 yards. The receiver was lightly guarded, the pass was to feet, weighted properly and accurate. So, why did this sequence of play result in a turnover? It was a text book example of the drill work they did in practice. The teammates, passer and receiver, were facing one another. This meant the options for play the receiver had, without turning into pressure on the reception, were in the general direction the ball had just come from. Why was the ball being passed to him in the first place? Because the passer was being pressured. We discussed how the now identified problem could be solved. On the most basic level, what needed to be addressed was the receiver's preparation to play. There were other facets of play that would need to be addressed as well, but proper positioning to receive the ball was the first priority. How could the receiver have been better positioned to receive the pass? By being sideways on and receiving the ball across his body to the back foot. This would position the receiver's hips open to the field of play and provide him with many more options for play while avoiding the one option for play most dangerous to his team - playing the ball back into the pressure it was just passed from. Receiving sideways on was the technical issue to address. So, once we identified the problem and then identified why the problem existed, we were able to design a camp experience that would help equip the players to solve the problem. By the end of camp, the players were much improved in their possession play. Receiving sideways on was not the only correction we made in their play that week, but it was the starting point that we built all else upon. Knowing what to correct is not enough. You must identify why it must be corrected and then design a proper activity for how to correct it. Falling short in any of these areas might result in exasperating the problem more so then helping with it. I remember as a kid watching sports on TV and then going out to the yard or the drive way to imitate what I had just seen. Loved the sweet swing of Roberto Clemente, the bank shots of John Havlicek, and the scrambling of John Tarkenton and every once in awhile I got a glimpse of some guy named Pele doing incredible things with a soccer ball. Emulating the sports heroes of the day was a natural thing for us to do.. Little did I realize it also held the key to developing an ability to play the games. I have at times mentioned Graham Ramsay, a friend of mine, in my writings. When I first met Graham back in the late 1990’s he was always referencing great soccer players and spectacular plays he watched on TV. Quite frankly, most of it went right over our heads as we did not have Fox Soccer Channel and soccer in general was not shown on TV much outside of the Olympic or World Cup games. I think I became somewhat immune to his constant references of players and plays that I hadn’t any means of seeing. It wasn’t until much later that it dawned on me that Graham was reminding me of how important it is for young players to watch older players and professional players play the game. How do you play soccer on a floating village? I first saw this video a few years ago. It is a compelling and inspirational story. Many of our problems are because we act without thinking. "I play very simply. That's what it's all about. Playing simple football is the hardest thing". I coach / watch a lot of soccer. Keeping track of how many matches I have seen this calendar year alone I am already at 273 matches - More than one a day at this point in time. Of course, the World Cup padded that total this year. I watch different age groups and varying levels of play. I am a student of the game. There is always something more to learn. While watching a high school match last night I had a lot of thoughts bouncing around. The teams were of average ability and it was an entertaining match. The opportunity to contrast and compare to other recent matches I have seen couldn't be wasted and an idea slowly began to coalesce in my mind. Certainly not a new or revolutionary idea. More an old idea revisited and eventually expressed in a new way. "Soccer is a game you play with your brain." The game of soccer presents a myriad of problems to be solved on both the individual and collective levels. High quality decision making ability is the single greatest skill for any player to possess. What came together in my mind last night was the merging of the two John Cruyff quotes referenced above. In order to play simply a soccer player must be a good decision maker... and... limit the decisions he must make during competition. Players can create more problems for themselves to solve when they act (or react) without thinking. Perhaps a better way to phrase that idea is to say, players create additional problems when they do not play with a thoughtful purpose. My soccer sermon in camps and clinics this summer was to "know your next play with the ball before your first touch on the ball." For a majority of young soccer players this is a radical way of thinking as they tend to gain possession of the ball and then attempt to figure out what to do with it - this usually involves going up the field toward goal defensive pressure be damned. Often a poor decision that self-inflicts pressure... or creates more problems to be solved than is necessary. "Many of our problems are because we act without thinking." This is not entirely accurate, but it is a great attention getter at this point in the article. A more truthful statement might be to say, "Many of our problems stem from not thinking far enough ahead." In American youth and high school soccer there is a great premium placed on being first to the ball, but this is of little value if possession of the ball is not won and maintained. Years ago I kept defensive statistics for a high school team. We tracked Interceptions and Takeovers (50 / 50 balls won). The team had to maintain possession before either an interception or takeover could be counted. This meant a lot of deflections went uncounted. One year a particular player was very adept at deflecting the ball but really poor in gaining possession of the ball. When the statistics were shared he was upset because he had so few. His parents were furious because they thought the lack of statistics would hurt their sons chances for post season awards. Lost in their thinking was the number of those deflections that resulted in lost possessions and 50 / 50 balls that had to be contested to secure possession. Being first to the ball simply isn't good enough if your play on the ball is not meant to gain and maintain possession. Another coaching phrase used often in our camps and clinics is, "We want game watchers, not ball watchers." As I watched last night's match I was struck by how "active play" consisted of 2 or 3 players from each team in the area of the ball. The other 16 - 18 players were largely spectating. This is no way to play simple soccer! In fact, being a ball watcher increases the problems on both the individual and collective basis - it creates more, and more difficult, problems to solve than does being an actively involved game watcher. Ball movement is predicated on player movement. Players who camp with us know this expression well. There are often light hearted chuckles from former players / campers when they hear me inform others of this truth of the game. It is a knowing and appreciative chuckle. They have been there, done that and now understand its significance. The appreciation is for the fact that when ball watching or spectating on the field the process can be described as thinking without acting. In either case the athlete is self-inflicting pressure or creating more and unnecessary problems to be solved by himself and his teammates. Neither is an acceptable behavior or pattern of play if we want to play this simple game in a simple manner. Failing to prepare properly is preparing to fail. We think of this in terms of how we practice, how we train, how we warm up before a training session or a match. It also applies to every gained possession, every touch, every pass or shot. The player and his team must have a plan for play. Soccer is a beautiful game when played simply. Playing simply is all bout your approach to solving the problems presented to you in the game. If you are well prepared, have studied the game instead of focusing mainly on the ball, your chances for successfully solving those problems increases exponentially. On a beautiful mid-summer afternoon Bellefontaine traveled to New Knoxville to take on the Rangers. The opening match of a season is usually filled with an anxious anticipation and today would be no exception. The young Rangers were a little nervous upon taking the field and it took some time before they found their legs. Bellefontaine dominated the first half of action. Nick Gingerich from his midfielder position and especially Aaron Wisner from his forward position kept the New Knoxville defenders and goalkeeper Jace Kuck under constant pressure. The Rangers held firm, but one got the sense it was only a matter of time before the Chieftains would break through. At the 25:32 mark Wisner almost achieved that breakthrough banging a hard driven shot off the near post. It wasn't until 20 minutes later that the Chieftains were finally able to penetrate the Rangers goal. At the 4:52 mark of the first half Bellefontaine forward Ross Angelo found the back of the net to give his team a 1 - 0 lead. Up to this point most of the match had been played in the Rangers half of the field. The pace of play had started out extremely slow as both teams tried to find and establish a rhythm to play in. Both teams played a physical style that contributed to the choppy play. It was good to see two veteran officials on this match - Greg Reynolds and Roger Scott. Reynolds in particular does an outstanding job and I have always appreciated how he communicates with the players in-game. He doesn't have to blow his whistle a lot because of this. It is a pleasure to watch him referee a match. Just under two minutes of Angelo's goal Bellefontaine would strike again. This time it was Gingerich who struck post with teammate Xavier Brown pouncing on and blasting the rebound past Kuck and into the net. This followed a sequence of shots by the Chieftains that New Knoxville struggled to clear out of their penalty area. The Rangers were back on their heels and it looked like the rout might be on. Halftime arrived just in the nick of time for New Knoxville. Seeing his team down 0-2 Rangers coach Marc Dyrness needed a timeout to refocus his team and remind them of how they wanted to play. 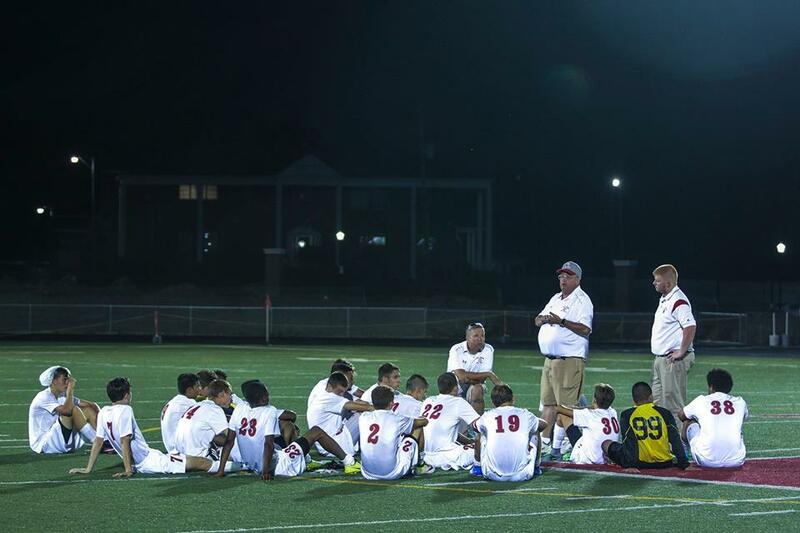 With no timeouts in soccer the 10 minutes allotted for halftime can be critical. The team that utilizes them best often wins the second half of the match. The Rangers came out with an urgency in their play that had been missing for most of the first half. After being forced to defend for much of the match a complete change of attitude seemed to have taken place during those 10 minutes of rest at halftime. 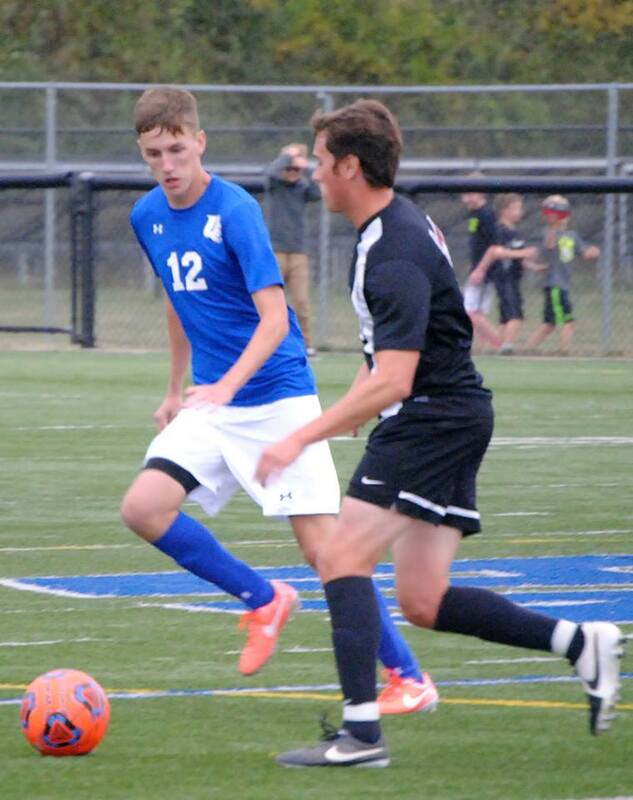 New Knoxville came out attacking and the results were almost immediate as at the 41:35 mark of the match Ethan Kuck beat Chieftain goalkeeper Tyler Jones from the right flank to pull the Rangers with one. Bellefontaine did not panic and as play ensued the action became more transitional in nature with both teams probing deep into their opponents territory over the next 10 minutes. At the 50:01 mark, in what became a trend, Wisner again banged a shot off the New Knoxville post.. This time the Rangers successfully cleared the ball and began a counter attack that would lead to Ethan Kuck scoring a game-tying goal at the 51:21 mark. This time Kuck struck from the left flank. With the match now even a little chippiness began to set in. Play became a bit more physical as did the verbal exchanges between players. The referee's also came under verbal assault more frequently. Ah, the intensity of a closely contested high school soccer contest! 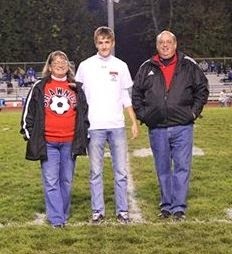 At the 59:05 mark of the match the Chieftains won a corner kick and in the ensuing scramble in front of the Ranger net Bellefontaine's Matt Voss was able to head the ball past Jace Kuck to give his team the lead once again. With time dwindling down the Rangers kept probing the Chieftains defense looking for a tying goal but were turned away time and again. Finally with just 3:44 remaining on the clock New Knoxville won a corner kick and midfielder Josh Yeatts was able to run the ball into the net past Jones to even the score at 3 all. For the match I, unofficially, had Bellefontaine with 16 shots on goal. New Knoxville's Jace Kuck came up big with 11 saves and teammates Jonah Logeman and Ryan Allen with one save a piece. 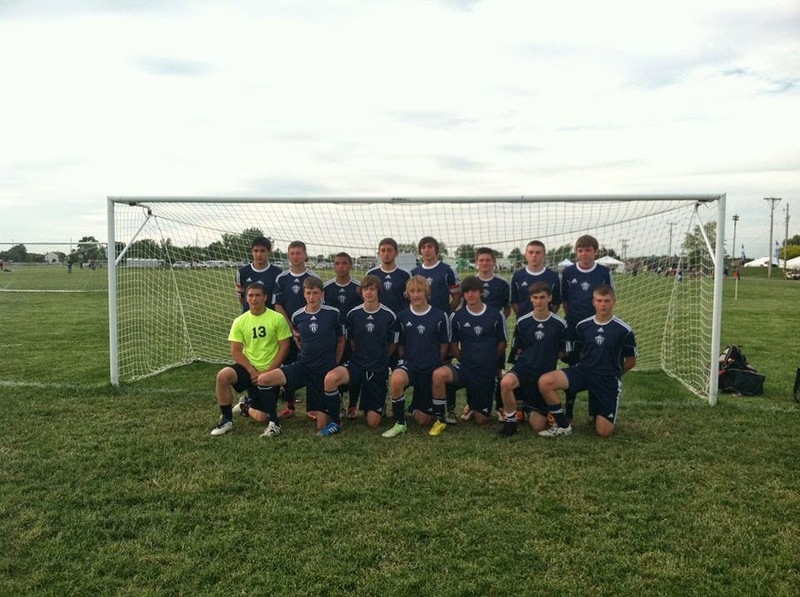 The Rangers had 5 shots on goal with Chieftain goalkeeper Tyler Jones being credited with 2 saves. 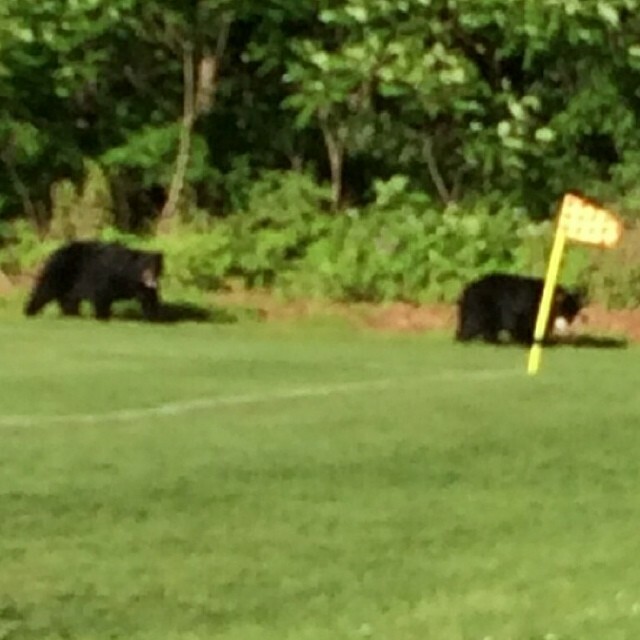 This was highly entertaining high school soccer match. Well contested by both teams. Physical, but clean. A little chippiness for added spice. Well done by both sides and the referee crew as well. I'm sure the Rangers would have liked to give new head coach Marc Dyrness a win in his return to the high school sidelines, but this is a solid result that establishes a foundation they can build upon. Over the years I have listened to many a young player tell me they want to play in college, play professional and make the USMNT. There is a huge difference between wanting to do something and actually accomplishing what you want to do. Anyone who plays the game, wants to be that guy who scores the game winning goal in the World Cup final. A very select few are ever in a position to do so and fewer still actually do score the winning goal in a World Cup final. The bridge between "want to" and actual achievement is work and more precisely, working intelligently. I have watched young players work tireless on their game. They work to master foot skills and moves to beat an opponent. They can juggle proficiently. In a 1 v 1 environment they look like the next great one. More often than not they are left to wonder why no academy program or major college is recruiting them. They cannot figure out why their path to glory is seemingly blocked. How many young players have you seen who are capable of passing accurately with either foot for distances of 10 yards, 20 yards and 30 yards? All the fancy footwork in the world will not make you an elite soccer player. Sean Garnier is a Freestyle World Champion, but is unlikely to ever score a game winning goal in the World Cup. Mr. Woo is amazing but he isn't going to be seen scoring that World Cup winning goal either. So, how do you become Super Mario Gotze? Watch Gotze's game winning goal once again. He receives the ball and passes it into the net. Now, the reception was difficult - he took it off his chest while directing the ball towards his next play. His first touch led him towards goal. He then used his left foot to volley the ball past the goalkeeper and into the net. Next time you drive by a pitch and see a lone player "working" on his game observe exactly what it is he is doing. Practicing fancy moves? Juggling the ball? Shooting the ball? Perhaps running with the ball? Think for a minute... these are all individual skills ... that can only take place in a match after the player has received the ball. And they lead to the intent of passing the ball either to a teammate or into the goal. So, many players spend a disproportionate amount of time on individual skills when soccer is a team game. That player putting in work on his own, is he working on team skills? Is he working on receiving and passing the ball? When I mention this to people they are quick to point out that the individual player did not have a partner to work with. There was no one to pass him the ball so he could work on receiving the ball. There was no one for him to pass to. That is nothing more than an excuse for close by is a kickback wall or a bench that could be turned on it's side to be used to play a ball against. The term is a ball and a wall. Graham Ramsay introduced our local high school soccer athletes to a ball and a wall many years ago. Turn wood benches on their sides and practice passing the ball against the bench. Many people think of this as practicing their passing, but every time that ball is returned by the bench to the player he receives the ball. Set two benches up with their flat surfaces facing one another or three benches set up in a "U" shape or four benches in a square - now you can practice receiving across the body, turning with the ball and leading touches into your next play, your next pass. If you want to play on the next level you will need a well rounded skill set, but you must be an exceptional receiver and passer of the ball. All those fancy foot skills and moves to beat an opponent are useless if you cannot flawlessly gain possession of the ball and they don't count for much if you cannot deliver the ball accurately and in a timely fashion to it's next destination, be that a teammate or the back of the net. Work alone is not enough to get you to the next level of play. You must recognize and appreciate what the most critical skills of the game are - receiving and passing. You must work intelligently and that calls for working on these two skills 1) receiving or gaining possession of the ball and 2) precision delivery of the ball to it's next destination. The individual skills that fall in between receiving and passing are secondary in nature. You do not need a coach, a personal soccer trainer, no fancy shoes or perfect playing pitch. You do not need anyone or anything except yourself, a ball and a wall. The rest is up to you. I have written a lot about decision making in general and specifically about players on-field or in-game decision making. I was talking with some friends last night when it occurred to me a coach's decision making is every bit as important as that of the players. Maybe more so in some regards. Most people see a coach as the guy standing on the sidelines during games. This is the person who makes out line ups, makes substitutions and yells at officials during the game. What they don't see is the day to day activity behind the scenes. Planning a 1.5 hour practice can often take me 1.5 hours. I care enough to get it right. There is analysis of where the team currently stands, specifics to be addressed, how to go about addressing these areas and planning for the needs to do so. Video Taping practices and games. These are but a few areas coaches have input in on decisions being made. It goes even further than that though. On the roster of a soccer team you will have players that learn in many different ways. How do you select or design an activity that reaches across all of these? Will you have to coach, instruct, teach the same activity in different ways to reach every player? One size rarely fits all. Sometimes I think people forget a coach wants to win. While there is a contest taking place on the pitch there is also a bit of a contest taking place on the sidelines between coaches. Which coach will have the better initial game plan and which will make better half time adjustments to provide the players the best opportunity for victory. When I go about setting a line up it can be a difficult task. It's definitely not about putting your 11 best players on the field so much as it is about putting the 11 who play best together on the pitch. This has been driven home hard in recent cub seasons as I have had a plethora of players who play center midfield for their high school teams. Some must change positions. Some may have to come off the bench as a substitute. 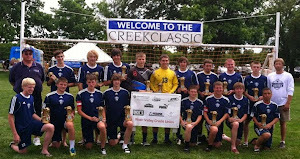 I have been following the teams that camped with us this summer and, of course, my son's high school team. In each case, I have found myself wondering about positions certain players have been placed in - not criticizing where a coach has decided to utilize a player. Just wondering what went into that decision making process trying to understand why the coach believes this is the way the pieces best fit together. This is what I am getting at - most people know very little of all the decisions a coach must attend to nor do they realize the details of the process that take place far from the public eye. Parents tend to view a coach's decisions from the perspective of their child first and the team second. Whereas a coach must view things from a team perspective first with the individual players perspective being secondary. 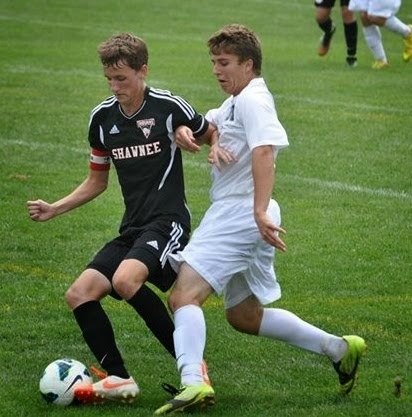 Thus a player coming to his high school team after enjoying great success as an outside back for his club team may find himself playing center midfielder for his high school team. Or a more than capable club winger might be asked to play as a goalkeeper in high school. It's how the pieces best fit together in a given circumstance. As a coach I both understand and appreciate this. 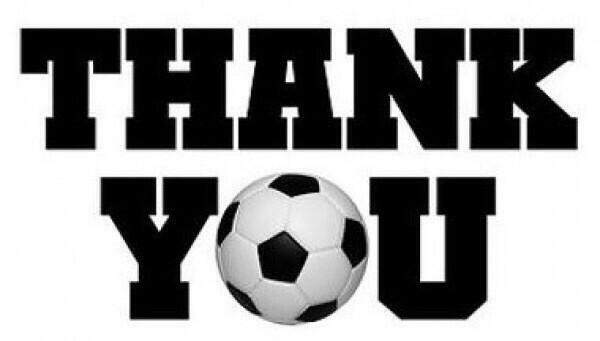 Being on the other side of the pitch these last two fall seasons has been such a Blessing to me as I have watched the decision making process of coaches from a parents perspective, BUT with the inside knowledge of the vast variables a coach faces in making decisions. This has been of a tremendous benefit and influence to me as a coach. In fact, this experience has provided me with the inner strength to make changes on the club level that I might not have had the courage to otherwise make. A prime example was my calculated move to take a center midfielder and move him to left back. There was some initial trepidation, even reluctance on the players part about making the switch. He bought into the move though. Asked questions and really studied and learned the position. Best left back I have ever coached and without a doubt in my mind the best left back in the area right now. He would have struggled to find time as a midfielder on our club team. Now, he should have college coaches clamoring for his attention. A second example can be found in the demotion of a player to our second team. This players mother was extremely upset. She went so far as to try and convince another coach to take over the team so that her son could remain with the "A" team. She talked about me behind my back and was just generally belligerent towards me. I attempted to explain the reasoning but she could not see the logic through her anger, disappointment and hurt. The player was a bit more receptive. I think he understood on a deeper level that in order to have a great senior year in high school soccer he needed to change some things about his game. He had been named to the varsity squad each of his first three years in high school only to be demoted back to JV in short order. A definite pattern had been established. This young man worked hard this past winter and spring. He did everything I asked ... and more. Not only did he learn to play at a higher level, he became a leader for our second team. He just blossomed as a player and a person. Two great memories from this experience I will carry forward with me. The first was the day the player handed in his "homework" to me. It detailed the perspective of 5 different players taking part in an exercise and he nailed it in an extended response form. It was well thought out and on point. A far reach from his one word or short sentence answers of his previous homework assignments. The second was his taking over half time of a match. He was frustrated with a lackadaisical first half effort by his team, but he wasn't negative in addressing his teammates. He identified problems the team needed to solve, provided ideas about how to go about solving them and was very encouraging of his teammates. I remember standing aside watching and listening in awe wondering where this had been in previous years? The answer was quite simple, in previous years he had deferred to others. He had been surrounded by teammates who were a little further along the development trail of leadership. Now, he had to step up and assume that mantel. He always had it in him, but had never been in the proper circumstance to allow it to shine forth. The by-product of all this has been a huge surge in confidence. This is a confident young man on the pitch. 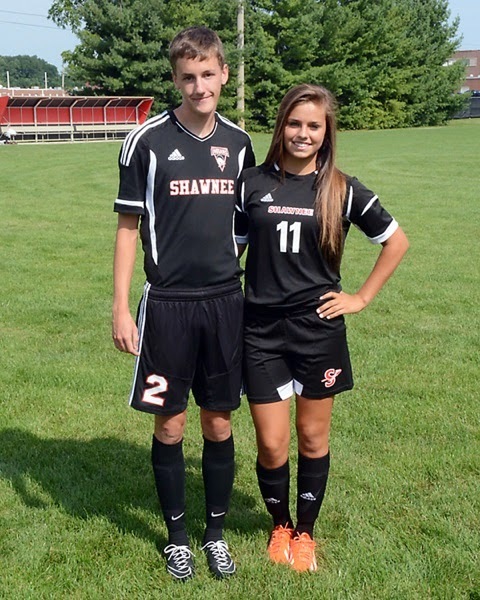 He's not a captain for his high school team, but he is a leader on the field. It may well sound as if I am patting myself on the back for coaching decisions that have turned out well, but that is the furthest thing from the actual truth. I am not responsible for these players transformations and success. They are. I may have provided some tools or a venue, but these players put in the work and enjoy the success from having done so. The point I have sought to make is that most people (players & parents) do not consider all that goes into a coach's decision making process. Nor do they appreciate the allocation of time and effort resources that are involved in making the decisions coaches do. Coaches can quite literally be exhausted mentally, physically and emotionally after a season concludes. The stress of constantly making decisions and balancing the interests of the program, the team and the individual player (in that order) can take its toll. If only all we had to worry about was line ups and substitutions! 15 second Bio's of the members of the USWNT U20's at the World Cup. Behind me is infinite power. This is but one reason why it is so important for coaches to give athletes their confidence in them. Lack of confidence is also contagious.